Almost 20 years ago, governments from around the world agreed to minimise the harmful effects of chemicals and waste on health and the environment by 2020. But they are failing to meet this target and, with the chemical industry growing rapidly, a new UN report is calling for urgent action. The UN’s second Global Chemicals Outlook was recently released as countries met to discuss global chemicals policies beyond 2020 under the auspices of the UN strategic approach to international chemicals management (SAICM). The report suggests that there is still a window of opportunity to develop a ‘global platform’ for the sound management of chemicals and waste beyond 2020. But this needs widespread global commitment from all relevant sectors and stakeholders. It urges countries to honour previous international commitments, scale-up collaborative action and do more to track progress. Sounding a note of optimism, it says ‘innovative new solutions’ to chemicals and waste management could protect human health and the environment, while also delivering economic benefits in ‘the high tens of billions of dollars annually’. The chemicals boom is being driven by economic development, population dynamics and other global megatrends such as growth in related sectors like construction and textiles. Chemical production and consumption is shifting to emerging economies – China in particular. The Asia–Pacific region is projected to account for more than two-thirds of global sales by 2030. High growth rates are also expected in Africa and the Middle East. Back in 2002, the World Summit on Sustainable Development adopted the Johannesburg Plan of Implementation. Governments sat down together and agreed ‘to achieve, by 2020, that chemicals are used and produced in ways that lead to the minimisation of significant adverse effects on human health and the environment.’ But the latest UN report warns that countries will not reach this target. Progress has been uneven. While some legally binding treaties and voluntary instruments are working, such as the Montreal Protocol on ozone-depleting substances, others are not. A review of the Stockholm Convention on Persistent Organic Pollutants identified gaps in regulatory and assessment schemes for industrial chemicals and the large remaining stockpiles of obsolete pesticides and PCBs. Meanwhile, the SAICM, which supports a voluntary, comprehensive life-cycle approach for hazardous chemicals, is a good example of collaboration to raise awareness, increase knowledge and reduce risks. But it suffers from several weaknesses, such as poor engagement with different sectors, a lack of tools to measure progress and limited financing, and insufficient and uneven advances in significant areas such as illegal international traffic in toxic chemicals and waste. What’s more, developing countries and economies in transition still lack basic chemicals and waste management systems such as pollutant release registers. The UN is particularly concerned that more than 120 countries still have not implemented the Globally Harmonized System of Classification and Labelling of Chemicals (GHS), intended to provide a common language for classifying hazardous chemicals. Production processes continue to generate significant chemical releases to air, water and soil, as well as large amounts of waste, including hazardous waste, the report notes. Moreover, hazardous chemicals are released in home setting by ‘chemical-intensive’ products such as consumer goods leaking phthalates and brominated flame retardants. Developing countries and transitioning economies face particular challenges, such as the release of heavy metals from battery recycling and mercury from artisanal and small-scale gold mining. Chemicals of concern are also routinely detected in humans. Examples include dioxins and furans in breast milk, phthalates in urine and heavy metals in human blood. ‘The burden of disease from chemicals is high, and vulnerable populations are particularly at risk,’ the report states. In 2018, the World Health Organization estimated the ‘disease burden’ preventable through sound management and reduction of chemicals in the environment at around 1.6 million lives. This is likely to be an underestimate, the report says. Animals are also threatened. Examples include suppression of immune systems in seals and turtles due to exposure to PCBs and per- and polyfluoroalkyl substances and feminisation of male fish due to exposure to synthetic oestrogens. However, the report stresses that solutions do exist. There is hope because government are taking regulatory action on chemicals, while some ‘frontrunner’ companies are developing processes and standards that go far beyond what is legislated. Consumers are also playing a big part in driving demand for safer products and production. The report also notes that science can play a role in cleaning up chemical production, noting that green chemistry is a developing field and universities are changing the way they teach chemistry. The report has come up with a list of recommendations for policymakers and stakeholders, while emphasising that commitments already made, such as implementing the GHS, require ‘urgent attention and renewed commitment’. Other recommendations include seeking global commitment for an ambitious and comprehensive framework for chemicals and waste beyond 2020, mobilising resources, assessing and sharing chemical risk assessments and implementing life-cycle approaches to make chemical production far more sustainable. Michael Walls, vice president of regulatory and technical affairs at the American Chemistry Council, which currently holds the secretariat for the International Council of Chemical Associations (ICCA), says that the ICCA supports the report’s call for a global approach to manage chemicals and waste. However, he adds that the report fails to discuss that health and environmental effects are ‘multifactorial and should be deeply analysed’. Governments, industry and other stakeholders have made significant progress, although he acknowledges that work remains to be done. ‘Under the auspices of the SAICM, ICCA has partnered with governments and NGOs to collaborate in ways that would not otherwise be possible without a voluntary approach to address the adoption and implementation of programmes and policies to safely manage chemicals and waste,’ Walls says. One of industry’s key contributions to the SAICM is the Responsible Care programme for the safe production, transport, use and disposal of chemicals and waste, used in 68 countries and representing 82% of global chemical production. ‘SAICM has highlighted that the key contribution to the sound management of chemicals worldwide needs to come from effective and pragmatic regulatory approaches at the national level, supported by voluntary initiatives such as Responsible Care,’ Wells adds. The European Chemical Industry Council (Cefic) also supports the report’s key messages and adds that the key to improving sustainable management of chemicals is industry engagement. It argues that global chemicals growth does not necessarily have to result in more damage to human health and the environment if nations’ infrastructure and governance are strengthened. The first step should be implementing the GHS, followed by global implementation of multilateral environmental agreements, such as the Basel, Rotterdam and Stockholm conventions on hazardous chemicals and wastes and the Minamata Convention on mercury. Cefic also supports the SAICM objectives. ‘Under the SAICM beyond 2020 discussions, we are proposing to improve information sharing on chemicals and support to developing countries to develop their infrastructures,’ it says. However, Genon Jensen, executive director of the charity Health and Environment Alliance, warns: ‘Lessons need to be drawn from the failure to reach the 2020 goal. 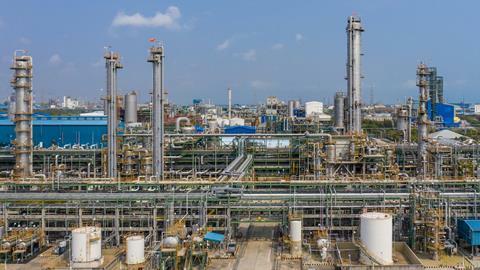 While the size of the global chemical industry is estimated to double in the next 10 years, this situation could get even worse.’ Having said that, Jensen is cautiously optimistic. The SAICM meeting is a key opportunity for governments to show their commitment to finding a public health solution that goes beyond voluntary agreements, for instance through the mandatory adoption of national action plans and systems, she says. These would hold industry legally and financially accountable for the impact of their products.